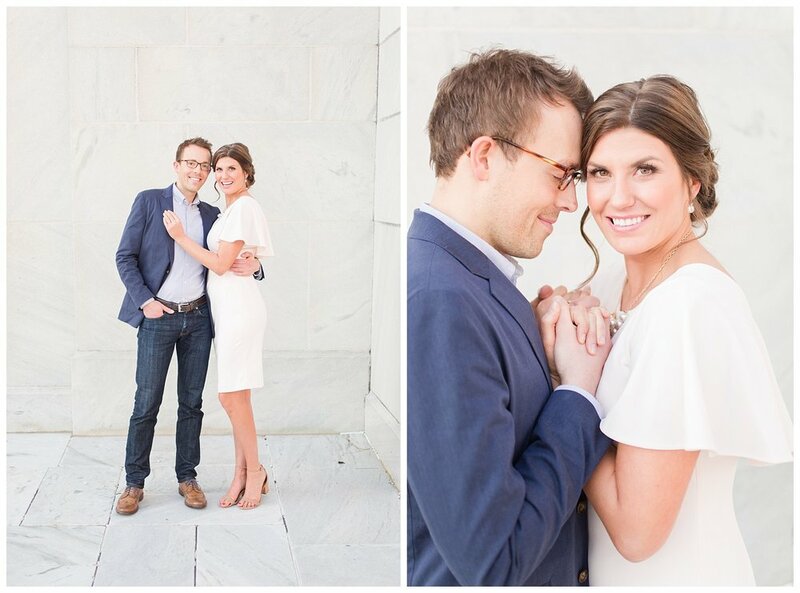 Erin and Jonathan have been together for over 5 years and have a shared passion for travel. I could talk with them for hours about all of their incredible adventures they've had after visiting Alaska, France, Belize, Guatemala, Norway and more-- the list goes on and on! In fact, Jonathan proposed at the Luxembourg Gardens in Paris! Erin said she was completely surprised when he asked because she thought he might propose during the trip, but after two weeks of traveling she assumed it wasn't going to happen. Little did she know, Jonathan was very patient and didn't mind holding onto the ring for a while longer. It was over two weeks into their trip when he finally popped the question. After a morning of walking around the city and visiting different pastry shops to gather food for a picnic in the gardens he finally pulled out the ring. Talk about a dream proposal! I had such an amazing time capturing their engagement session-- we truly couldn't have asked for a better day! 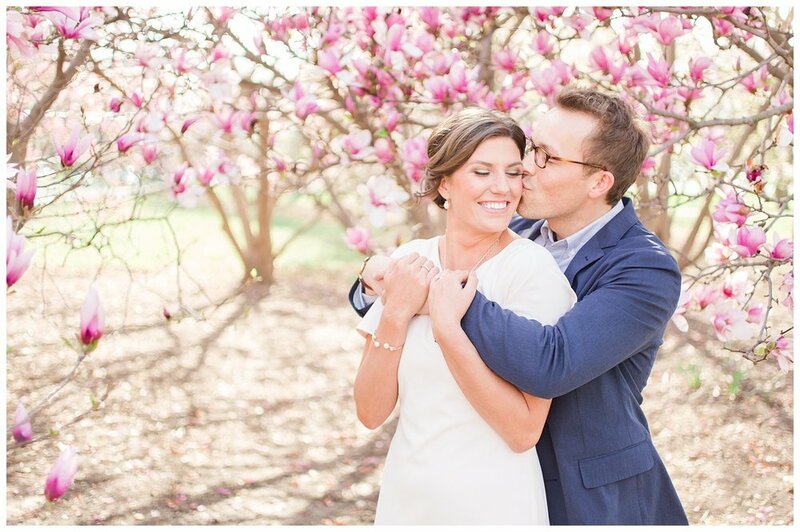 Between the beautiful spring blooms at Goodale Park and the dreamy light shining on the Columbus skyline, I'm pretty sure I was squealing with delight the entire time. We started the session early because the forecast looked cloudy, but the sun ended up staying out through golden hour and it was perfect. 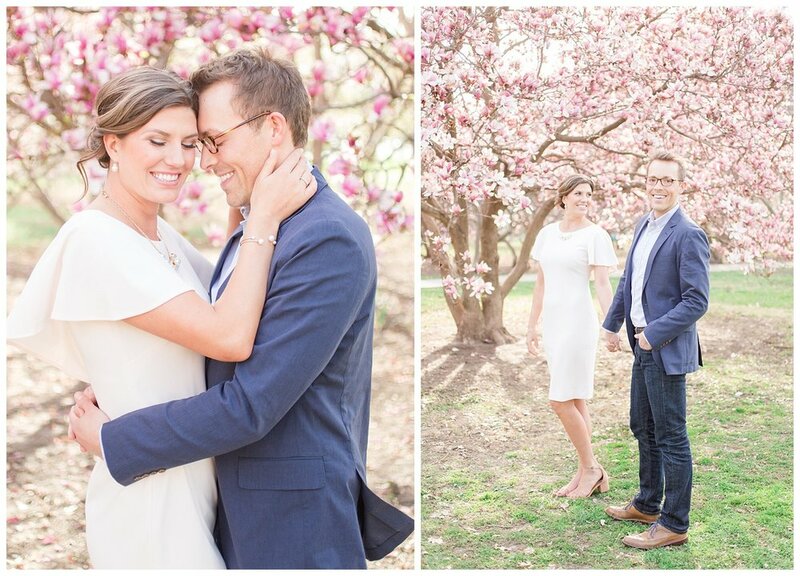 Erin and Jonathan are such a sweet couple who are committed to making their big day intimate and meaningful. 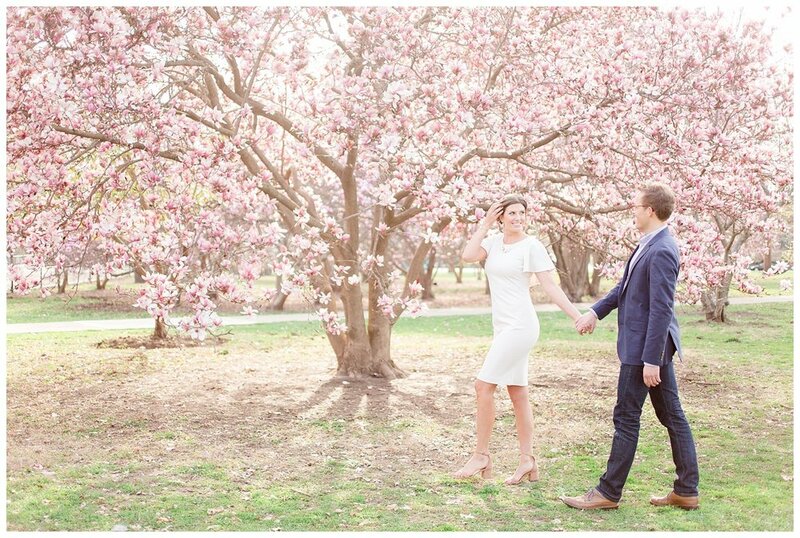 I am beyond excited for their upcoming spring wedding at the Granville Inn. They are truly focused on quality time, conversations with their 30 guests, and togetherness. I am so honored to be their photographer and can't wait to see them exchange their vows!